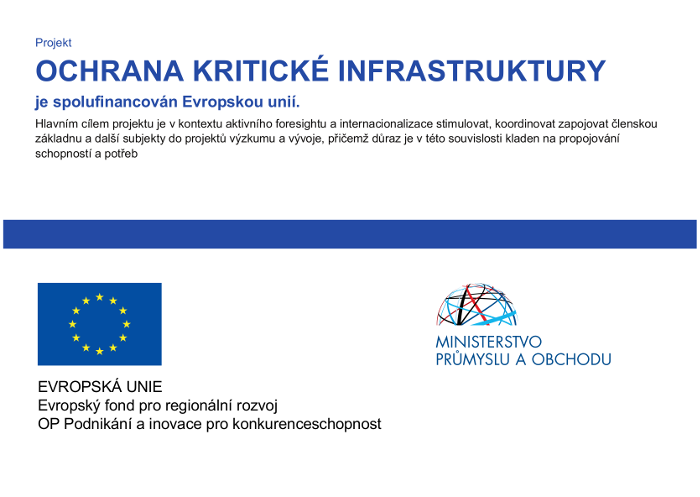 Technology Platform „Energy Security of the Czech Republic,“ organized an international conference entitled „Energy & Cyber Security in the EU“ in the premises of the Czech Parliament on the 6th November 2014. Ing. Milan Urban, Chairman of the Board TPEB Czech Republic, Deputy Chairman of the Economic Committee of the Parliament of the Czech Republic opened the conference and welcomed the participants. This was followed by short greetings from Dr. Richard Hlavaty, Chairman of the Executive Committee TPEB Czech Republic. Foreign panel moderator was Ing. Vaclav Klucka, MP and member of the Security Committee of the Chamber of Deputies. Home panel was moderated by Dr. Radim Polčák, Ph.D. – Head of the Institute of Law and Technology Law Faculty of Masaryk University in Brno. The conference was attended by foreign and domestic experts. The first block of lectures, which was devoted to foreign guests, was opened by Dr. Alois Sieber -Former Director of Security Research at DG Joint Research Centre, Ispra. His topic was related to Critical Infrastructure, research in the EU, implementation of programs in the EU Member States. Conference was joined as well in the form of conference call by Representative of the Unit for Analysis of Natural, Technological and Security Threats; Ministry of Security and Justice in the Netherlands; National coordinator for security and the fight against terrorism (Nl.) Mr. Martijn de Gier – the topic of his presentation was Business as (un) usual – Resilience of Critical Infrastructure. The same way conference approached Dr. Alessandro Lazari – ERNCIP (DG JRC Ispra) covering the European reference network of critical infrastructure protection (It.) 114 Directive on the protection of critical infrastructure (CI). An important guest was Mr. Severin Löffler – Director Legal & Corporate Affairs in Central and Eastern Europe, Microsoft Corporation Security with exposé on the data in the cloud (security for data in the cloud). The second part of the program was devoted to a panel discussion, where were present leading domestic experts. Doc. Dr. Radim Polčák, Ph.D. – Head of the Institute of Law and Technology Law Faculty of Masaryk University in Brno; the theme of his lecture was: Experience with complex legal and organizational solutions of cyber security at the national level and the EU level. As a representative of the electricity distribution company, stepped in Ing. Zbynek Boldiš, a member of the Board of ČEPS Inc. Who gave a lecture on activities and experience of ČEPS in the area of Critical Infrastructure along with video presentation of one large scale training simulation operation. He was followed by Dr. Juraj Szabo, Ph.D. – Director of Legal and Corporate Compliance, ČEZ, as his lecture was devoted to the theme: Experience with ČEZ protection of critical infrastructure. Another important speaker was Ing. Jaroslav Smid – Deputy Director of the National Security Agency (NSA), who dealt with the topic: Status of implementation of the Cyber Law in terms of NSA, the amendment of the Decree of critical infrastructure. This was followed by presentations by Kpt.Mgr.Lukáš Pidhaniuk – Ministry of Interior ČR, General Directorate of the Fire Rescue Service, Department of Civil Emergency Preparedness, who dealt with the topic of European policy on critical infrastructure protection and its impact on the Czech Republic. In conclusion, Mr. Jiri Polak – Executive Director, Czech Association (CIO CACIO), had a presentation on the Strategic Development of the Energy segment in the Czech Republic and the EU. The conference was attended by members of the Parliament committees – economic, defense and security and foreign. It was also attended by representatives of ČEZ a.s., ČEPS a.s.; Pražská plynárenská a.s. (Prague Gas Company a.s.); representatives of the General Directorate of Fire Brigades of the Czech Republic; the Ministry of Interior, the Ministry of Industry and Trade, the Office for Standards Metrology and Testing, Ministry of Defence, Office of the Defence Standardisation, Codification and Government Quality Assurance and many others.